Tag: EN471 class 2.2 | Hütter Safety International B.V. 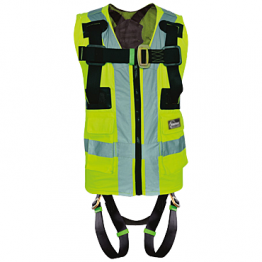 The harness is designed for easy donning and un donning of the harness and comes as a high visibility yellow or orange vest with striping. Suitable for persons up to 136kg.